Imran Tahir finished with figures of 4/27 in four overs and restricted KKR to 161/7 in 20 overs, despite Chris Lynn hammering 82 runs in 51 balls. 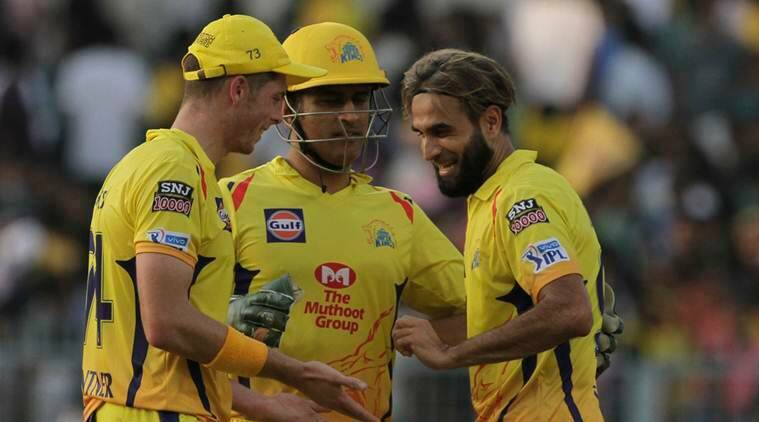 Chennai Super Kings spinner Imran Tahir credited skipper MS Dhoni for his match-winning performance against Kolkata Knight Riders on Saturday. Tahir finished with figures of 4/27 in four overs and restricted KKR to 161/7 in 20 overs, despite Chris Lynn hammering 82 runs in 51 balls. The right-armer added that Dhoni keeps on telling him which area batsman is trying to target. “Those were small things. He tells me like this guy is trying to hit in this area so I bowl accordingly. I am an attacking spinner and want to take wickets and he allows me to bowl that way,” he said. “It’s not that I’m not given contract but more to give opportunity to the youngsters. I’m grateful to CSA they are the one who gave me the opportunity and I’m here today,” he added.